A spectacular brand-new Christmas attraction opened at Woodlands Family Theme Park in Devon for December. Santa set up home at Woodlands where families started their enchanted journey wandering through the winter forest where all the Christmas Magic begins! Families walked through the North Pole and into Santa’s Magical World before meeting the Jolly Man himself along with his hardworking elves. As well as meeting Santa, there were hidden surprises such as Santa’s Workshop and even his Mail Room where you could post your letters to Santa. With nine rooms of Christmas magic to explore, a wrapped present from Santa, free edible reindeer food for Christmas Eve and much much more, it was a Christmas Experience not to be missed. Mr Chris Bendall (Park Director) said ‘’We have not run a Christmas attraction at Woodlands for over a decade and we are blown away by the response from our guests. When we started getting requests for bookings for our un-announced 2018 Christmas event after visiting this year’s Grotto we knew it was as magical as we hoped it would be‘’. Claire from Newton Abbot who visited on Saturday said on Facebook “I highly recommend Woodlands Family Theme Park, we went yesterday and WOW, it was incredible!!! I don’t know who was more excited, me or my son!!! The grotto was the best we have seen. Will be back next Christmas for sure”. The new Christmas Grotto opened on the 2nd December and was open on the following dates: 9th, 10th, 16th, 17th, 18th, 19th, 20th, 21st and 22nd December. Tickets for the grotto must be booked online in advance. Entry to the park and Santa’s Grotto costs £14.50 for children aged three to 11-years-old, £3 for children under 12 months, £5 for children aged 12 to 23 months and £7 for children aged 24 to 35 months. If you have an annual pass to Woodlands there are reduced rates just for the grotto. The tickets sold out fast and extra time slots was added due to amazing response and Santa wanting to ensure he saw every child. This magical experience is a treat for the whole family. Staff and everyone at Woodlands had a fantastic experience with the new event and hope this will become everyone who visits new family Christmas tradition. For more information and to keep up to date with Christmas at Woodlands for 2018 and the park’s news don’t forget to visit the Woodlands Facebook page. We are FULLY OPEN everyday!! Open 9.30 am, Rides run from 10 am and we close at 5 pm! Plenty of Easter fun for all the family! Join in fun and interactive shows with the Supastarz team. PLUS a daily showdown between our very own Woodlands Hero Ace and Nutty the Squirrel! Fizz Pop Science are here on Friday 19th April! Join in with making your very own slime and lots of fun interactive science shows throughout the day! Even better its all included!! See our website for more details. Tuesday 16th: Don't miss the Eggstatic Bunny Helpers Show at various intervals throughout the day from 11 am on the Showtime Stage*! Wednesday 17th: Join Alice & The Bunny Hunt at various intervals throughout the day from 11 am on the Showtime Stage*! Thursday 18th: Meet the Shipless Pirates at various intervals throughout the day from 11 am on the Showtime Stage*! 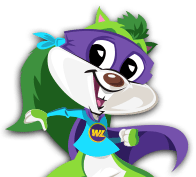 12.15 pm Tuesday, Wednesday & Thursday: Who will you cheer on in the Hero Showdown between Woodlands Hero Ace and Nutty the Squirrel? Friday 19th: Fizz Pop Science! Join in with slime making workshops and lots of other interactive science shows throughout the day! Daily: Can you help Mrs Hop? Find the letter hidden around the Zoo-Farm to spell out the special treat Mrs Hop is baking. Hand your entry form into reception to be in with a chance of WINNING a day out for up to 4 people! Daily: Can you find the hidden tokens at various locations around the park? Find your token and then take it to the gift shop for a chocolatey Easter Treat! **One token per child, per day. Daily: Visit the Zoo-Farm for lots of different animal activities including lamb feeding! Check the blackboard at the Zoo-Farm for more details. Kelly Crouch! Congratulations on winning a large Thornton's Chocolate Egg, 2 Cuddly & 2 day entry passes!! Visit our other THEME PARKS!